Even I cherish those moments. That was a great time. We may not live them again, but their sweet memories will keep giving us a reason to smile forever. And the friends I got from that training are friends for life. After intermediate(i m sure i ll be in intermediate) training, will i go and apply to PLES(product life cycle and engineering solutions(pune,mysorembanglore))stream for my stream training ? is there any options available on matter tat i ve to work for core section of infosys ? Hope you are enjoying your stay in Mysore. I am really not sure about your question as their policies keep changing frequently and I was there more than 2 years ago. hey! i got placed in infy. i’ll be joining infy within next september. i had cognizant and infy offers in my hand, but i chose infy. But i’ve heard the training part would be the toughest part and difficult to clear it… i’m an average student… can i clear the training successfully if i work?? Hey !! i recently got placed in infy. i just want to know how much time will it take for offer letter and joining letter and which technical preference did infy provide you in your training period ? In my case, I got it after 3 months of getting selected. I am not sure how they allocate stream these days. During my training, they allocated the streams without asking us. Its very subjective. Depends on so many factors including the technology you are working on, location, project etc. Is there a way I can prepare for Infosys training before joining? Any videos of Infosys training or material found online? I found a few but cant track the year those files were created. I come from non IT background, so its really important for me that I have some good knowledge beforehand. Any info can be of great help.Thanks!! Yes. There are ample opportunities for such things in Infosys. I am from pune, going for training isn’t an issue for me but I prefer staying in pune for the job after training. Is there anyway we can change our posting city? Or choose it? And I also heard that there are individual rooms for guys but girls have a roommate with them. Is it true? Pune is not a difficult location to get. After training, when you get posted, you can try for relocation. If your manager is helpful, you will get it. Otherwise, work in Infosys for 2-3 years, and then switch to a company which can provide you Pune as your work location. Sir, sorry to disturb you. Sir I got my offer of employment 5days before but Sir I m a little bit confuse what to do next. Is there any confirmation needed from my side to infosys? stating that I m going to join infosys willingly by accepting all the rules and regulations. I have not get any accomodation related information yet. My joining date is 3rd August, On which date i need to report in infosys campus sir? Sir Please do reply. Thanks a lot sir. You said, “Little did I know that it was all going to get wasted. Production life was not what was projected during training.” I’ve been posted in production. What should I expect? Infosys training is amazing and it creates an impression that we are going to do something really exciting after training. But IT jobs are all the same. can you please tell me how is the Networking stream in Infosys ? My sister finished her general training & waiting for the stream allocation . In the meantime a seminar was conducted to motivate trainees to apply for networking training , She is from Non- CSE background (ECE), she is really confused whether to apply for this training or will go with any other Software related training , Please suggest . Its been a long time when I did my training in Infosys. I do not remember such stream. May be it is introduced recently. Usually they do not give you an option to select a stream. They just put you in a stream they want. i want to stay in mysore even after training. what is the procedure for that?? I stayed in Mysore even after my training because I got my location as Mysore only. It was mere chance. To stay in Mysore even after training, you need to get posted there which is usually not in your hands. However, you will not get accommodation inside the campus and you will have to live outside renting an apartment. I got joining date on 14th Dec. And I’m excited to join infosys. I want to know that can we take leave ( 2 -3 days)during training period? And also I’m a bsc maths graduate. will it be a tough job for me to pass the training? I am not sure about the training for your job profile as I am engineering graduate. 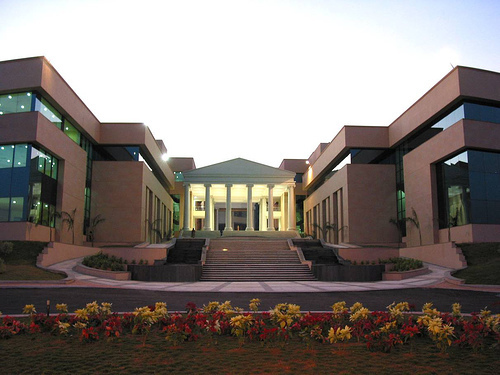 My daughter is at Mysore Infosys and now she got a stream training of window track. Please explain about this stream and scope of it. When I joined Infosys, there was no such stream. So, I have no idea about this stream. BTW, my name is Abhineet, not Abhijit. Ok. This seems a new stream and working with Windows would definitely be a good experience. Hello, I am an employee who just joined Chennai DC with ENGNE as my unit. Can you help me understand the process of a transfer to another DC. I don’t have any personal reasons which can justify my need for transfer. Can you please help me get an official transfer or any kind of information in this matter? You should contact your project manager or HR for transfer. Hello,i am a trainee of infosys. I got my posting to pune dc.How do i get relocated ? If i contact my HR now,will they accept to relocate me to Hyderabad.I have no strong reasons except that my mom stays all alone in Hyderabad.